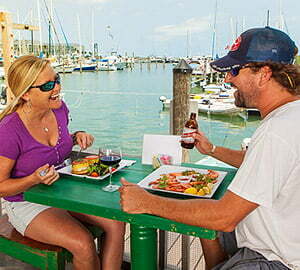 Whether you’re vacationing in Key West or a familiar local face, Turtle Kraals restaurant and bar is the prime spot for experiencing the island’s freshest seafood and laid-back, festive atmosphere. 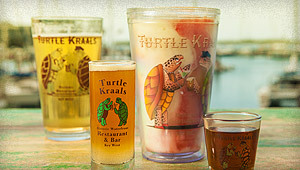 With cuisine reflecting the proximity of the Bahamas and the Caribbean, Turtle Kraals is an iconic waterfront destination just steps from Duval Street and the charming lanes of Old Town. On our ground floor, enjoy great views of people strolling along the Historic Seaport’s boardwalk and its shops and attractions. 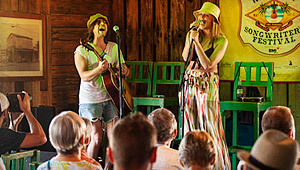 Check out live music, pick up a game of bocce on our open-air courts, and cheer turtles along to victory during our legendary family-friendly races. 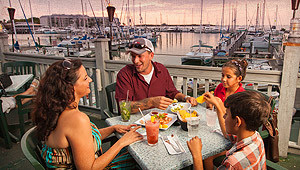 Complement your drinks with our full menu, including the freshest local seafood, sourced from our neighboring Half Shell Fish Market. 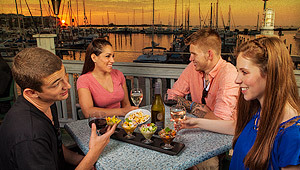 Over happy hour drinks, indulge in the bar’s fresh-shucked oysters, peel-and-eat shrimp or stone crab claws, or sit outside within ten feet of the water anytime at our ceviche bar. 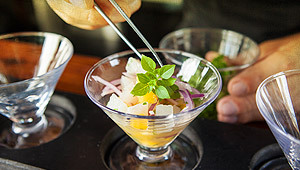 Taste the bold flavors of our chefs’ beautiful ceviche creations, garnished with chopped herbs grown organically on-site. 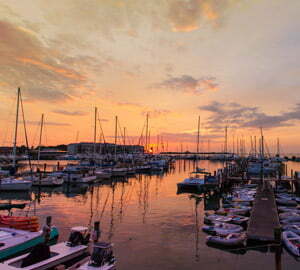 Walk upstairs to our Tower Bar deck overlooking Key West’s historic working waterfront. Take in the sight of ships coming in against the setting sun and experience the most relaxing, breezy ambience on the island.